Have a birthday party or other special occasion? Celebrate it at the Chicago Dough Company. Our private dining room is available for groups up to 40 people--no deposit fees apply. For groups of 30 or more, a special buffet is available (some restrictions apply). To learn more about our group offers, give us a call! Create your own pizza masterpiece when you host your next kids party at the Chicago Dough Company! Start with your own personal crust, add the sauce, then add the cheese and toppings. Our trained pizza cooks will show you how to make a gourmet pizza, and we will cook it to perfection in our deck ovens. 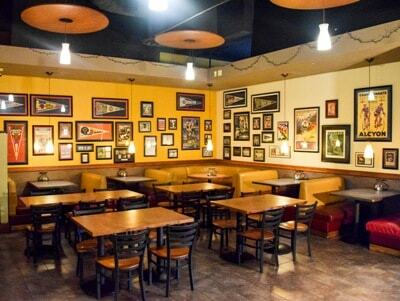 To schedule a party, please call us to check that your time is available. Parties can be scheduled during normal business hours, but some exclusions apply. 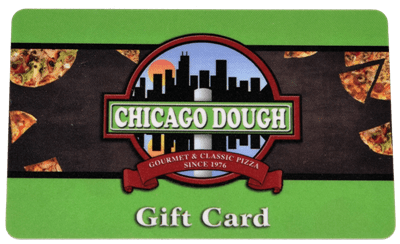 A special Chicago Dough Company Discount Card worth over $100.00! Contact a manager to setup your discount card program. Order discount cards for your organization. Sell the card to your family, friends, and people around town. Suggested price of $5.00. Enjoy your rewards. Pick a date and contact us to setup the event. Make sure to have an alternate date in mind. Create and distribute flyers to your family and friends. Don’t forget to post your flyers around town! Make a post on social media, email and mail newsletters to your organization’s members. Assign a member to host your event, and to serve as a greeter. Fundraising check will be available for pickup two weeks after your event. 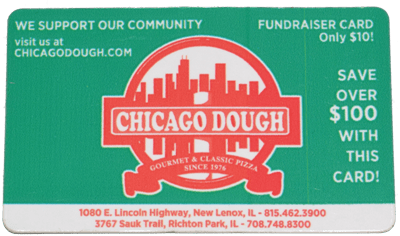 Raise money for your organization by reselling Chicago Dough Company gift cards. Your organization can purchase gift cards in either $10 or $25 denominations at a 10% discount.